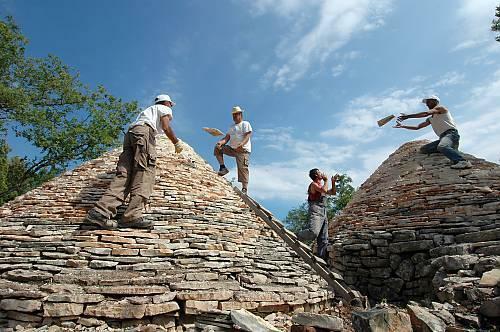 The art of dry stone walling concerns the know-how of making stone constructions by stacking stones upon one another, without using any other materials except sometimes dry soil. Bearers include the rural communities where the practice is deeply rooted, as well as professionals in the construction business. Dry-stone structures have shaped numerous, diverse landscapes, forming various modes of dwelling, farming and husbandry. Such structures testify to the methods used by people from prehistory to today to organize their living and working space by optimizing local natural and human resources. Authors and personalities: Mira Audiovisual Vidéo édition, director.